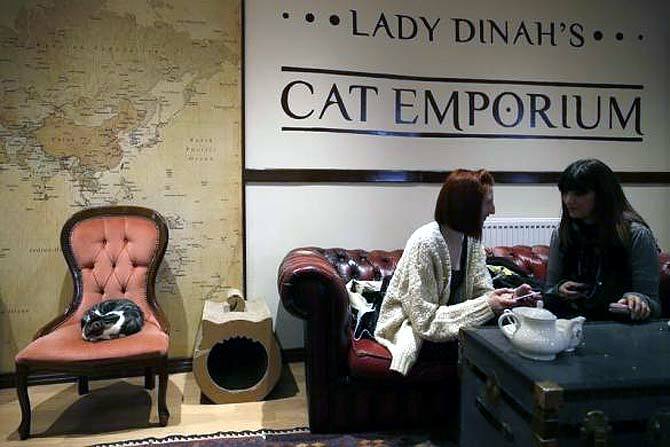 Meet amazing cats at Lady Dinah’s Emporium which opened on March 1, 2014 in east London. 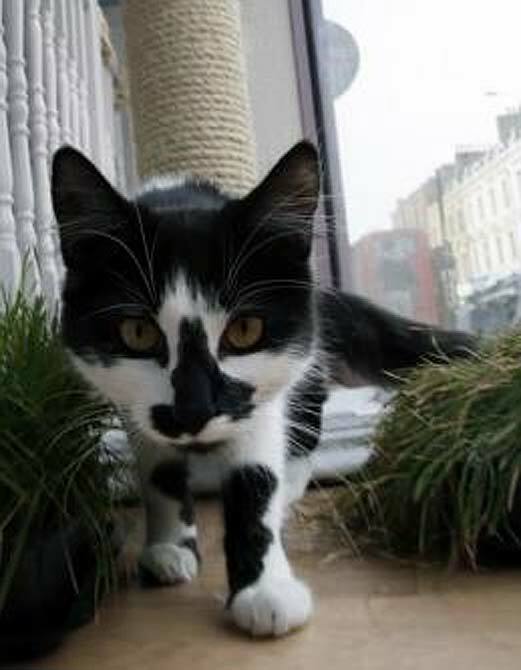 Named after Alice's cat in Lewis Carroll's 'Alice in Wonderland', this cat café is an archetypal English tea room. 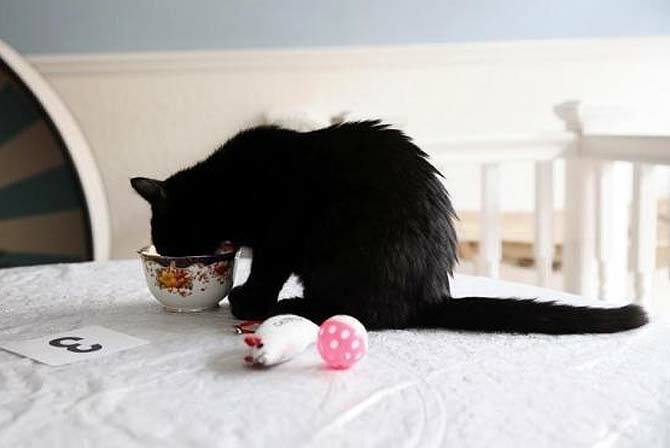 Along with serving afternoon tea, sandwiches and cake, the attraction of the cafe is the graceful company of cats, which costs £5 for two hours. A cat sits on a chair at the Lady Dinah's Cat Emporium. Pedestrians look at a cat in a window at the cat cafe..
A cat walks at the Lady Dinah's Cat Emporium. 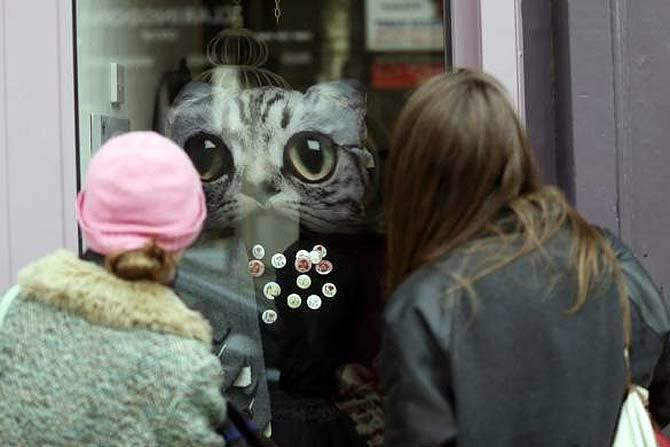 Image: A cat stares out of a window at the Lady Dinah's Cat Emporium in London. 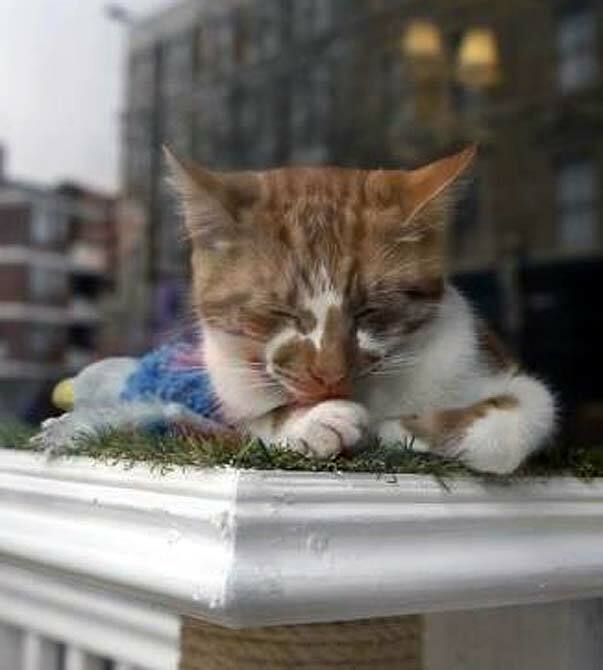 A cat sits in a window at the Lady Dinah's Cat Emporium. 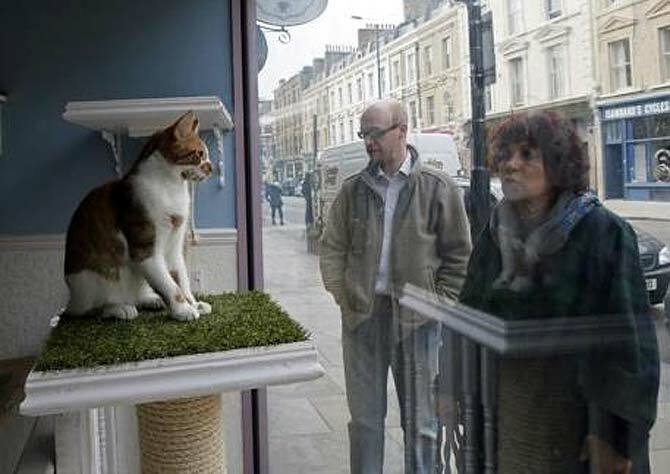 Pedestrians look at a window display at the Lady Dinah's Cat Emporium. A visitor to the Lady Dinah's Cat Emporium plays with the cat. 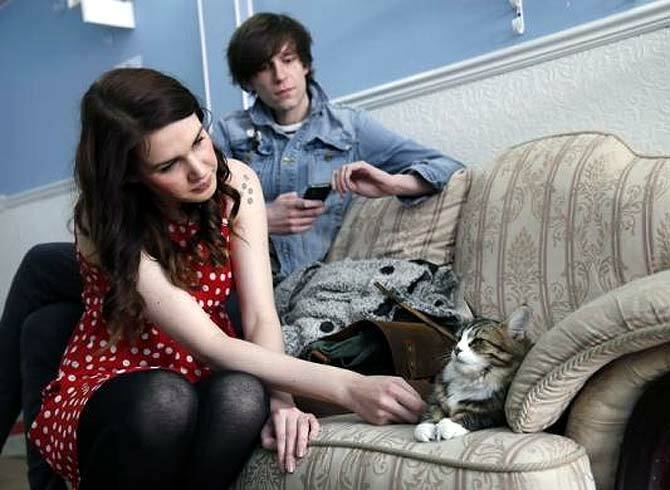 Visitors to the Lady Dinah's Cat Emporium take photographs of a cat. 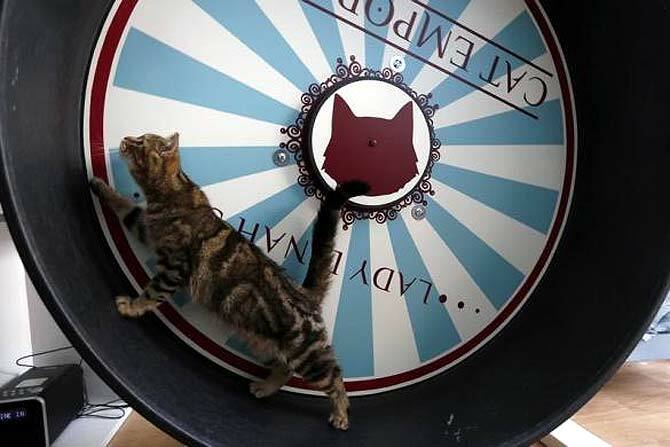 A cat uses a wheel at the cat cafe. 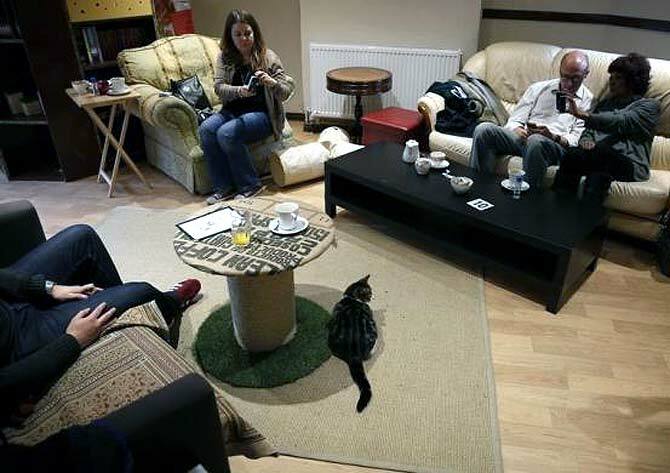 A visitor plays with the cat at the cafe. A cat sitting on a table and perhaps having milk in the cafe. 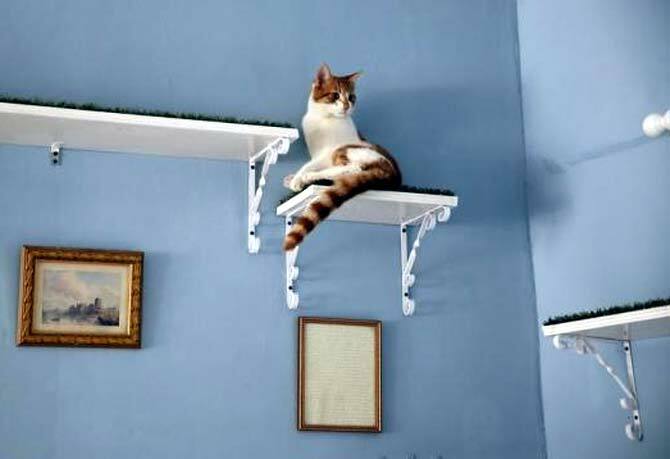 A cat sits on a shelf at the Lady Dinah's Cat Emporium. 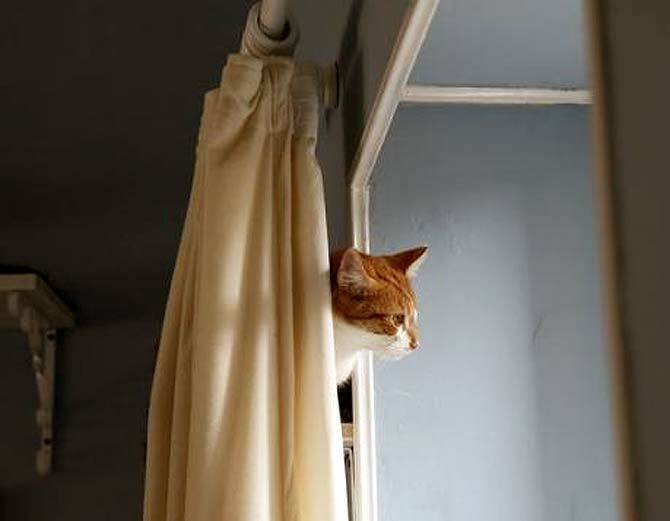 A cat stares out of a window at the Lady Dinah's Cat Emporium. 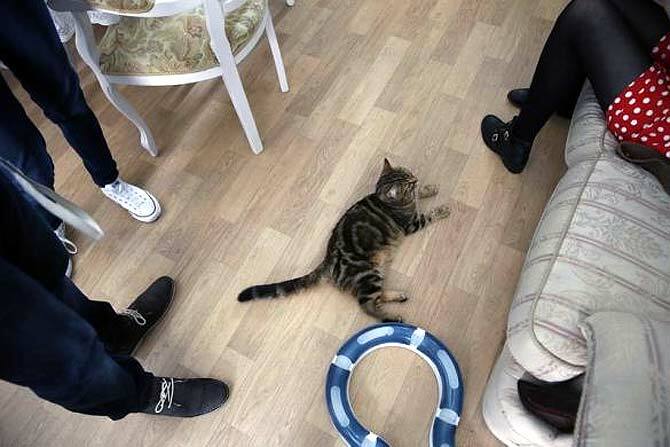 A cat sits on the floor in floor at the cafe.